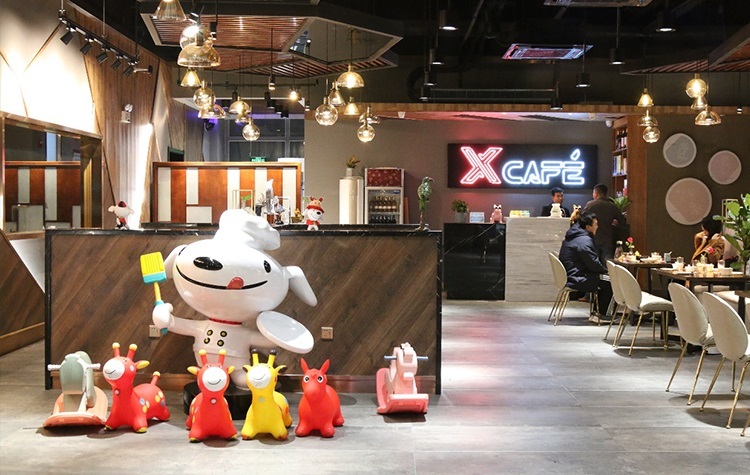 JD.com opened its first fully automated robotics restaurant named “XCafe” on November 10 at the Sino-Singapore Tianjin Eco-city. 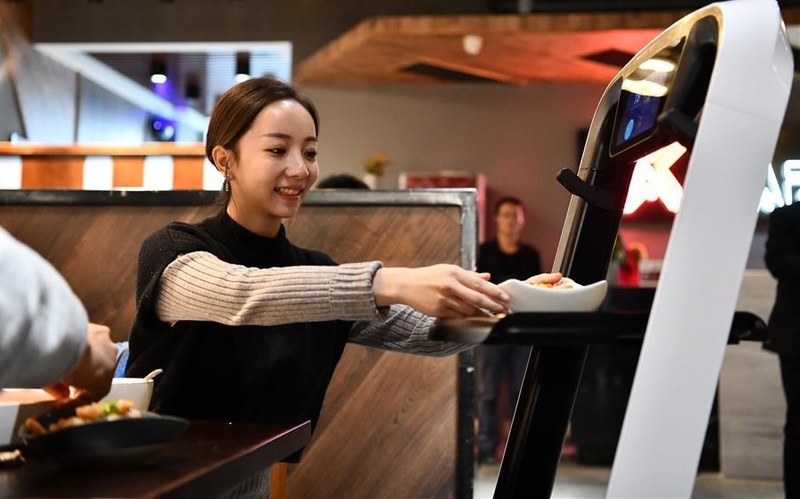 Aside from the perhaps not-so-futuristic store name, the 400 meter squared futuristic eatery accommodates up to a maximum of 100 customers at the same time, and is the first of its kind in China to be fully automated. Everything from ordering, preparing, cooking, plating to serving is controlled by robots and artificial intelligence. After placing an order, robots in the back kitchen will be assigned the order and begin preparing dishes. When done with the food preparation, a different set of ‘server’ robots will then deliver the plates to the dining areas for customers to pick up and dig in. With self-driving technology, these robots are navigated by simultaneous localization and mapping (SLAM). They can move autonomously without any track. If charged once, they can work a full day. The restaurant also sets up a VR interactive games area and an immersive dining experience area to provide a more interesting and high quality dining experience for guests. 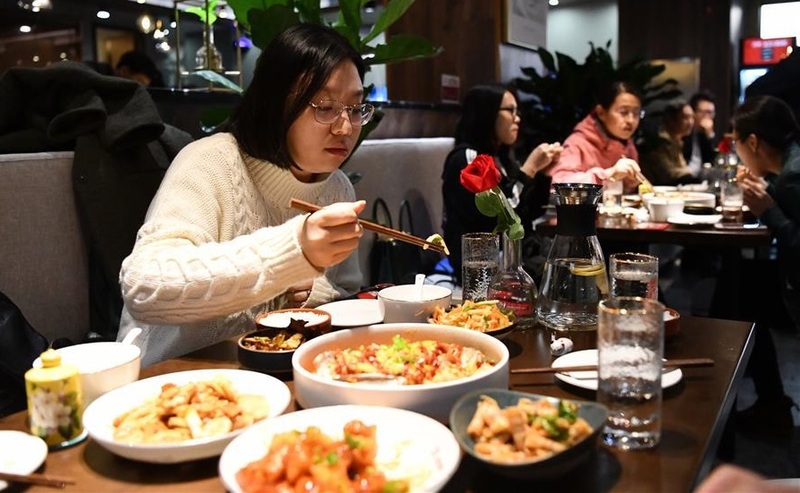 According to the company, the restaurant menu serves more than 200 different dishes, even if currently it is only offering a selected few due to their widely standardized preparation process and popularity. At present, the eatery serves roughly 40 kinds of dishes, which are mainly based on homemade stir-fried dishes, including classics such as Kung Pao Chicken, fried prawns in “Bi Feng Tang” style, sweet and sour pork, etc. Although the restaurant is advertised as being fully-automated, it still requires minimal human presence in order to be fully functional. According to reports, an XCafe kitchen needs about 5-6 staff members present to place the right ingredients in front of the robot chefs and refill ingredients by hand. The company announced back in June that it was planning to open 1,000 restaurants fully staffed by robots by 2020, to take on competitor Alibaba’s partially-automated eateries, Hema grocery stores. JD.com is looking to promote the automation technology to more catering companies and help traditional catering companies to become ‘smarter’. 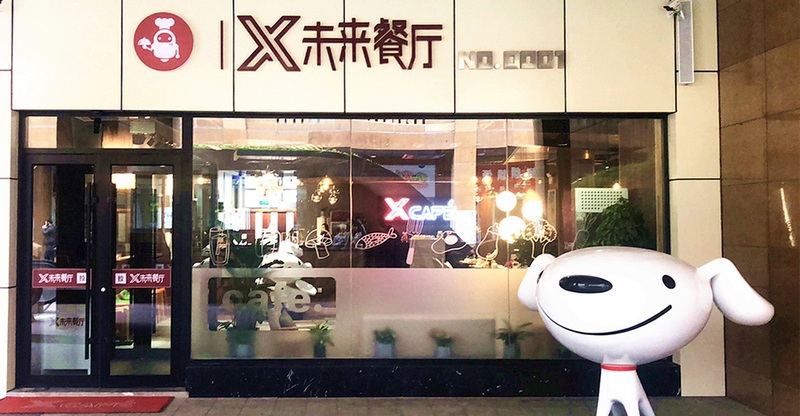 A representative at JD.com stated that XCafe is really not a fully unmanned dining joint, because complex problems that require human intervention would definitely arise throughout operation. Thus, it is unlikely that ‘fully unmanned restaurants’ will become a reality at this stage.